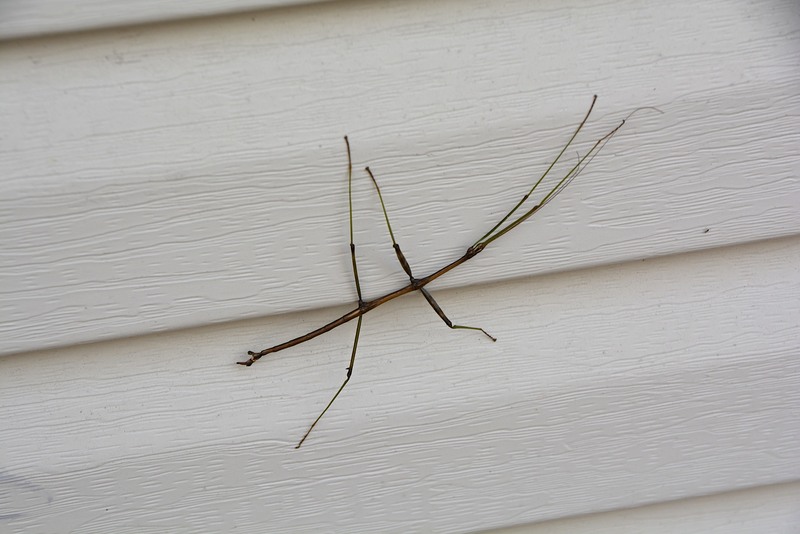 …One of the more remarkable insects to be found, (and it’s hard to see them among the twigs,) this “thing” needed a double take for me to realize what it was, as it adorned the side of our house. Some Phasmatodea (try to pronounce that, not to mention type it correctly!) can change color to match their surroundings. I would love to see one of these in real life. Do they move fast, or as part of their camouflage do they slowly move about? Wow. I had to do a double take with your photo. Initially I wondered why you had taken a shot of pine straw, but then I read your posting and clicked on the photo. Now it’s easy to see this interesting little insect. It is great and thank you for putting nice resolution so it is possible to look at it closely. Such an interesting insect!